In our last blog, we discussed a bit about how, as roofers we are constantly involved with the weather. We watch the weather to keep our installation crews safe from lightning, we can blame the weather for tearing off newly replaced shingles, and we can thank the fall weather for relief from the summer heat. Winter weather on the other hand is a whole different animal and in during these dark months a roofing company can be pretty much shut down while Mother Nature throws a fit. We use this lull to gear up for the coming season, make repairs, and get out there for our clients whenever we get a break in the weather. 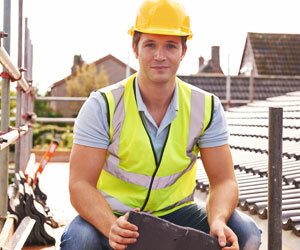 Right now is the ideal time to consider your roofing needs for the coming spring. Whether you need a new roof or would like to repair your existing one, fall is the ideal time to determine your future needs. The first step in the process is the roof inspection. As we have talked about for months now, regular inspections are the key to ensuring a long life for your commercial roof. If you suspect an issue with your roof, it is generally pretty serious at that point, the most effective way to prevent major issues is through an inspection. We offer a wide variety of inspections, from simple shingle inspections on smaller roofs to massive, commercial low-slope buildings. No matter what size your commercial building, we can provide exceptional inspection services. As part of the inspection process, we have been utilizing a relatively new technology, infrared roof scans. This non-invasive technology is ideal for identifying problem areas and hidden damage on your roof. We basically take an image of your building with light that detects heat signatures. This will make it obvious as to where your roof is deficient in keeping the heat in, or where your valuable energy is seeping out through the cracks.This allows the conversation to take place as to whether or not your roof needs to be replaced. Infrared inspections are the best way to ensure that you are keeping the heat where it belongs, in your building. Eventually, the time will come when a roof replacement will become necessary, no matter how many times you repair a roof, the years and the elements will take their toll. 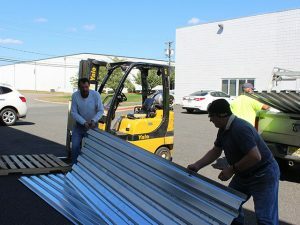 Now, we understand that nobody likes to think about the massive undertaking that comes with replacing a very large commercial roof, any more than they like to think about replacing a roof on a smaller structure. When you choose S&S Roofing for your roof replacement we make it as painless as possible. We have been in the commercial roofing business for more than 30 years and we know what we are doing. We can help you decide what kind of roof replacement is ideal for your situation. We can help make the process of saying goodbye to your old roof, much easier. Many commercial buildings have what is known as a low slope roof. Basically that is the industry term for flat roof. A flat roof is for all, intents and purposes, not flat at all. It may look flat but there is always a gradual slope that leads to a drainage system. That could be at intervals along the roof or at the eaves like traditional gutters. Either way the water must be able to flow of of the roof without pooling on the roof itself. Standing water is a roof killer and the best way to protect a low slope roof is, make sure that the drainage is working and the main waterproofing is functioning. Water will seep into the smallest void and any cracks or holes in a flat roof will yield potential issues. For your low-slope roof, we have a few different material options to choose from. EPDM or ethylene propylene diene terpolymer is a very tough membrane that is stretched over the roof and sealed with either tape or adhesives. EPDM has the advantage of being lightweight, durable, and long wearing. Depending on how the material is sealed this type of roofing is excellent for the New Jersey winters. Thermoplastic encompasses a large family of PVC type materials, (the stuff that pipes are made out of.) The common thread with all of these materials is that they rarely are covered with gravel like many flat roofing installations. PVC and TPO, (the most common thermoplastic materials,) are exceptionally resistant to UV rays, weather, and are flame retardant. Traditional, low slope roofs have been finished with asphalt for years. The process, although effective does not have the longevity of newer roofing systems. When modified bitumen is added underneath the asphalt roofing, the longevity is increased dramatically. For installation, large sheets of modified bitumen are rolled out and covered with asphalt or other sealant materials. It is a great choice for New Jersey due to its durability and weather resistance. The perfect solution no matter what type of commercial roof you have. S&S Roofing’s newest solution, liquid applied roofing is a sprayed or rolled on. Liquid applied roofing is ideal if your roof needs replacement but is still in great shape, as it can be applied over the top of the existing roofing infrastructure. We can also use this material to seal up our roofing systems after they have been completed. 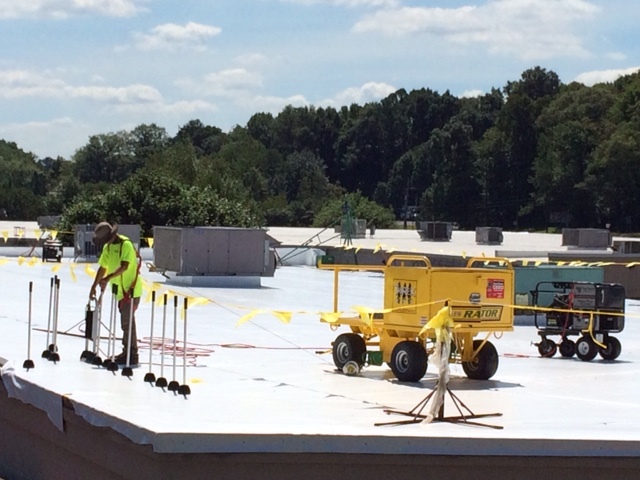 Regardless of which type of material you choose for your commercial roof replacement, the installation is they key to roof longevity. 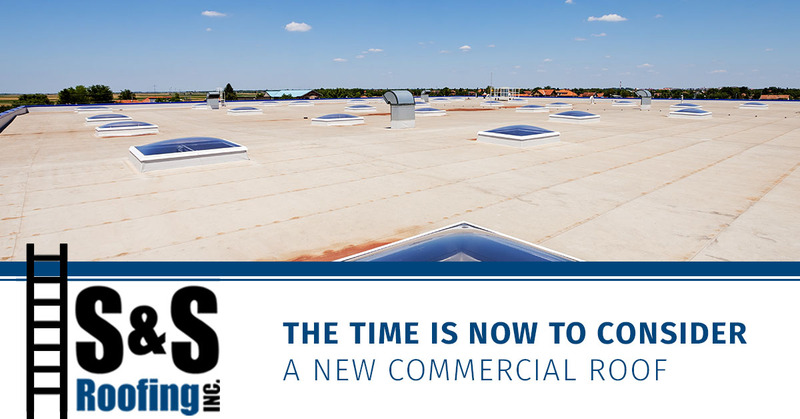 At S&S Roofing we have decades of commercial low slope roof replacement experience and we know how to get the job done right. Our crews can handle large industrial buildings as well as smaller commercial roofs, no matter what your binding size we can help. As we said before, we insist on only using the best quality materials and back that up with our exceptional installation service. If you are ready to get started with spring planning for your roof, now is the time to start. Get on it early, before the rush that happens when the weather starts getting warmer and the drips start coming through the ceiling panels. So just as the early bird gets the worm, the first one with an appointment gets the new roof! Contact us today for an inspection or routine maintenance, we look forward to hearing from you and thank you for your business!